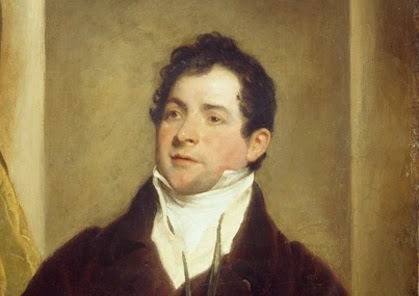 Thomas Moore was a 19th-century Irish balladeer and poet. Over the course of a long and colorful life he failed as an actor, playwright and impresario, but found success writing lyric poems as a self-styled modern-day Anacreon (he even became known as "Anacreon Moore"). Moore challenged Byron to a duel, later became his friend and literary executor, and then betrayed him by burning Byron's memoirs after his death because his surviving family considered them too shocking. Moore was an Irish patriot who was patronized by the British aristocracy, and later met (and performed for) George IV and Queen Victoria. 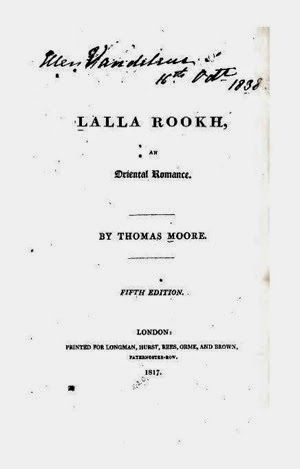 In 1817 Moore published Lalla Rookh, which was subtitled "An Oriental Romance" and set in Mughal India. Moore had never been to India; his wife was the daughter of an officer of the East India Company, but she was born and raised in England, and her father died when she was a child. 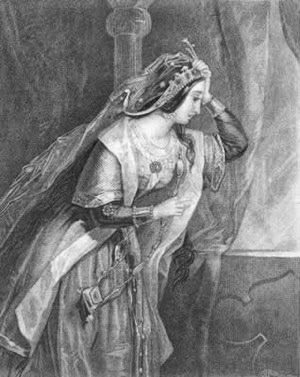 More direct inspirations for Moore's poem were likely Byron's four Turkish Tales, published between 1813 and 1815; Moore's book contains four lengthy narrative poems set in India and Persia. But Lalla Rookh is not, or not just, an Orientalist fantasy about the exotic East. For one thing, Moore included footnotes throughout the text and nearly 50 pages of scholarly notes at the end; he was clearly desirous of faithfully representing Indian, Persian, Central Asian and Arabic cultures. For another, perhaps seeing in India a fellow victim of British imperialism, he encoded commentary on the British suppression of Irish Catholic nationalism throughout Lalla Rookh. Feramorz beguiles the time (and the princess) with four songs, the texts of which are interspersed with the narrative of Lalla Rookh. It's in these song-poems that parallels arise to the situation of the Irish. In "The Veiled Prophet of Khorassan," the banner which once linked religion and political liberation becomes "the rallying sign of fraud and anarchy" . In "Paradise and the Peri," the winged spirit of the title brings as a gift to heaven the last drop of blood shed by a hero resisting the invaders of his country, and is told by the angel guarding the gates of paradise that "Sweet is our welcome of the Brave / who die thus for their native Land" . In "The Fire-Worshippers," Feramorz praises "the brave struggles of the Fire-Worshippers of Persia"--followers of "the old religion"--"against their Arab masters" . "The old religion" was a term applied in England to Catholicism. Moore's book was wildly popular, going through multiple editions in the space of a year, and continuing to be reprinted for decades afterward. (I own a miniature "Brilliant Edition" published by George Leavitt in New York, dated 1869 in pencil on one of the endpapers; it was recently purchased for $5 at Moe's Books.) Perhaps not surprisingly, given that many of Moore's poems were explicitly intended to be set to music, composers took inspiration from the story. But as the 19th century wore on, later interpreters tended to de-emphasize Moore's implicit criticisms of imperialism. Robert Schumann created an oratorio from his own German translation of "Paradise and the Peri"; Gaspare Spontini and Anton Rubenstein also adapted the story. But the focus of the next part of this post will be the opera Lalla-Roukh by Félicien David (1862), which had been unperformed in its entirety for more than a century—until last year. Next time: Part 2 - The opera: Félicien David's Lalla Roukh.